Burning Moon's Inside advice: Illumination AZ Review! 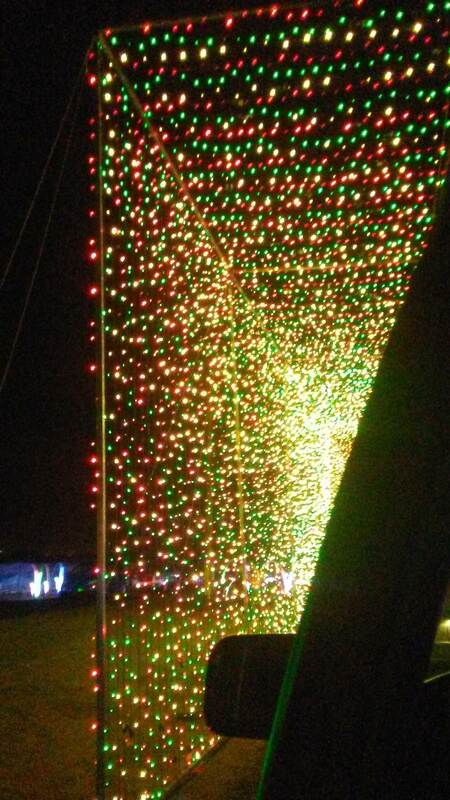 My family and I were recently invited to the VIP preview of the Illumination AZ drive through light show, my kids love looking at Christmas lights and it was something I loved doing as a child as well so we decided to go. What is Illumination? 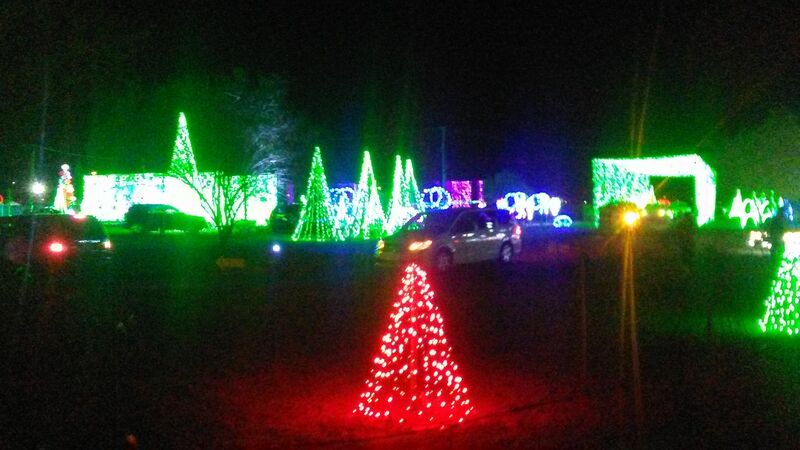 It is a large drive through light show, there are thousands of lights all synced up to light up and turn off to the beat of Christmas songs, this is it's first year running. If you pay before hand tickets are $30 and if you buy them once you arrive tickets are $35 per car load not per person. I really enjoy the idea of a large drive thru light show, however this is their first year running so they do have several bumps they need to smooth out so this review isn't completely positive unfortunately. The show was due to start at 6:15pm so we were all asked to arrive as close to 6pm as possible. We arrived about twenty minutes prior to the time and there were already a decent amount of people waiting, once 6:30 rolled around there were still no lights and no movement. The person in charge of the light show that needed to be there and on stage arrived a bit late and then got stuck in-line so we had to wait for them to get set up. Once everything got turned on and started moving it was a little bit of a mad house, they had 4-5 lines of traffic all merging into one single file line and there wasn't anyone directing traffic so everyone was just trying to squeeze and rush their way to get into line first. I think they should have someone standing at the front directing traffic to make things a little easier as this is something I've noticed a lot of people commenting about on facebook as well. Once you get into the line things start to move pretty smoothly from there, as long as you follow the speed limit, set your radio to the station they provide and shut your headlights off you shouldn't run into any issues. Along the drive there were a lot of neat features such as drive thru light tunnels, giant Christmas trees, peace signs, cactus, and more. Each one was a different color and some of them did different lighting effects than the others but we did notice that several trees and sections of lights weren't on/working at all which was a bit of a bummer because it left gaps in the drive. 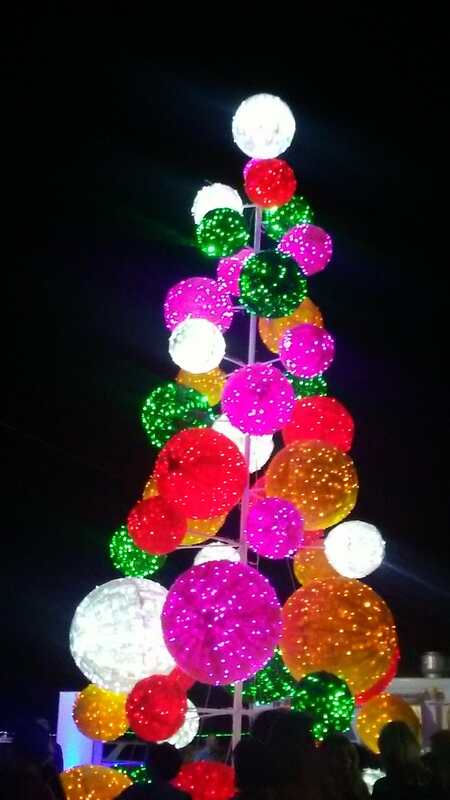 The kids had a lot of fun looking at all of the lights though. At the speed we were going I would say it took us about 15-20 minutes to drive from the start to the finish of the lights. At the end of the lights there is a section set up for you to park and get out, there are food trucks, sweets vendors, crafting stations, bathrooms, Santa's workshop where you can take photos with Santa and more. 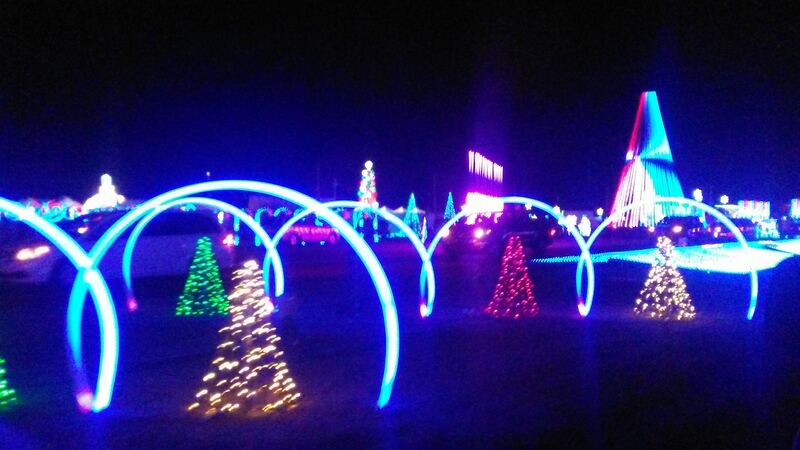 The park and stroll section has a giant light up Ornament you can walk through, has bounce houses for the kids plus a number of other fun activities for your enjoyment along with music and food. 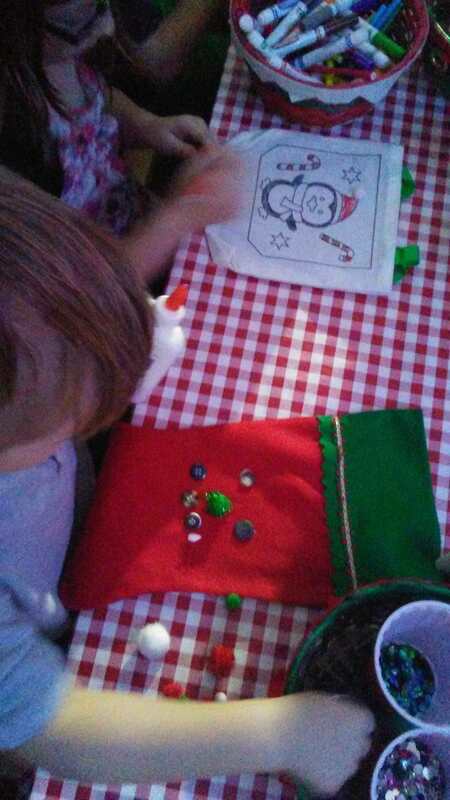 The kids had a lot of fun because it was like a mini carnival. 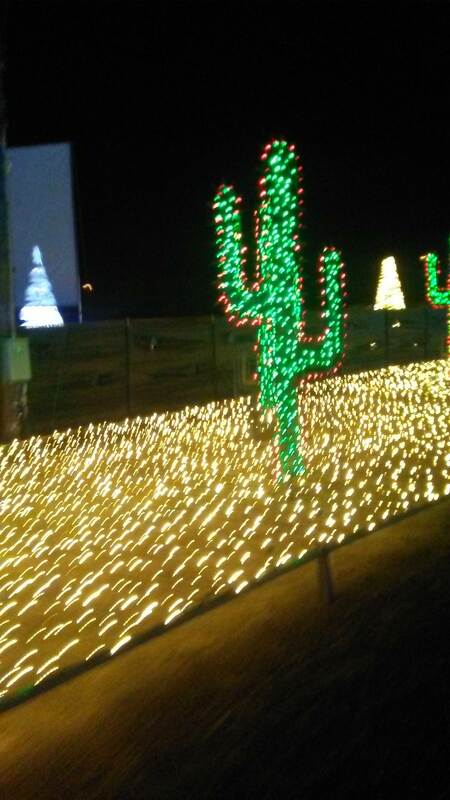 The Illumination AZ will be open nightly until January 14th. It is located on the I-17 just north of the Norterra shopping center, 27701 N. Black Canyon Highway Phoenix, AZ 85085. Project Decals Giveaway & Review! At Home Christmas Decor Reivew! PaRragon October Book Buddy Review! Ripley's Believe It or Not Hollywood, CA Review! Sun Tail Mermaid Info Post.